Sri Lanka is, simply, a magical place. 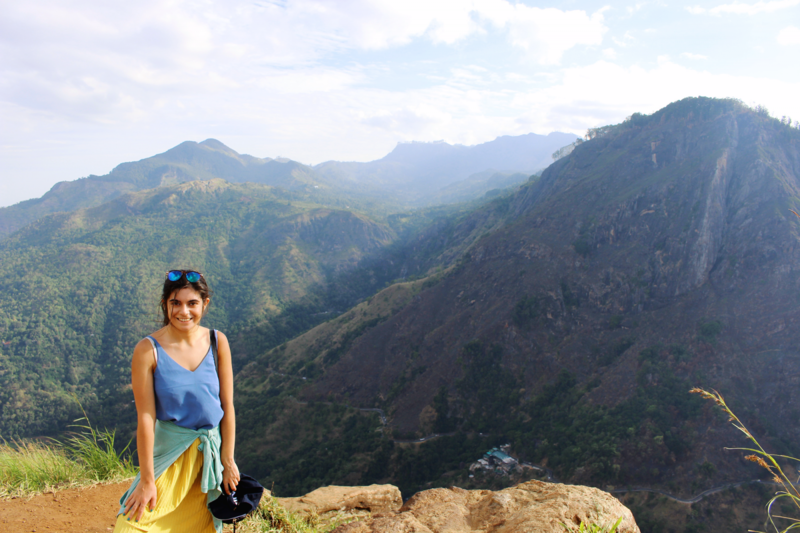 Sri Lanka is one of my favourite places on the planet. It’s serene, vibrant, romantic and spellbinding. It’s usually my go-to recommendation for people wanting to travel that little bit off the beaten path – easy to get around but still (especially if you’ve not been outside of Europe/America) new and exciting. The people are so friendly and kind, the food incredible and the landscapes stunning, and it feels honestly like the most romantic place on Earth. Tangalle and our virtually private beach! It’s also small enough that you can have a thorough introduction to the country in as little as two weeks! We spent 16 days – leaving on a Friday evening and returning on Monday Bank Holiday – which was perfect for us as it gave us 16 days off work for only 10 days holiday allowance. Of course, whenever you leave is up to you! This itinerary gives you a good mix of beach time and culture time, amazing views and glorious experiences. If you have more time, I’ve added in suggestions for places that we just didn’t have time to squeeze in. First up is my TL;DR – the top five tips/must-sees for those of you that want your info quick and bite-sized! For those that want to know more, the next section is the Itinerary Overview, then I’ll go into detail in a Day by Day Breakdown, then at the end are tips, tricks and must-knows like Weather and When To Go, What to Bring and What to Know. 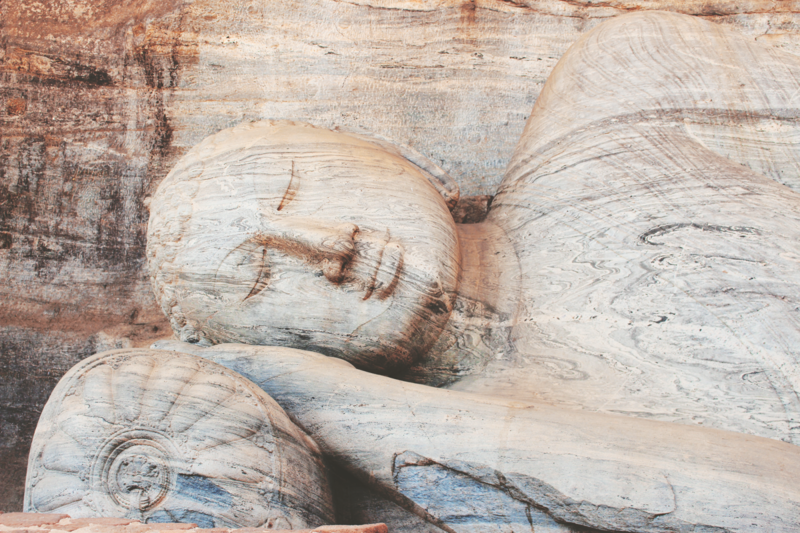 Unless you’ve got more than 2 weeks, or don’t like relaxing, pick either Polonnuruwa or Anuradhapura to follow up from Sigiriya/the rock caves. All three is too much in the heat! Stay in Dambulla for Sigiriya, and get the bus first thing. The climb is easy – the vertigo is not. The fewer people in your way the better! 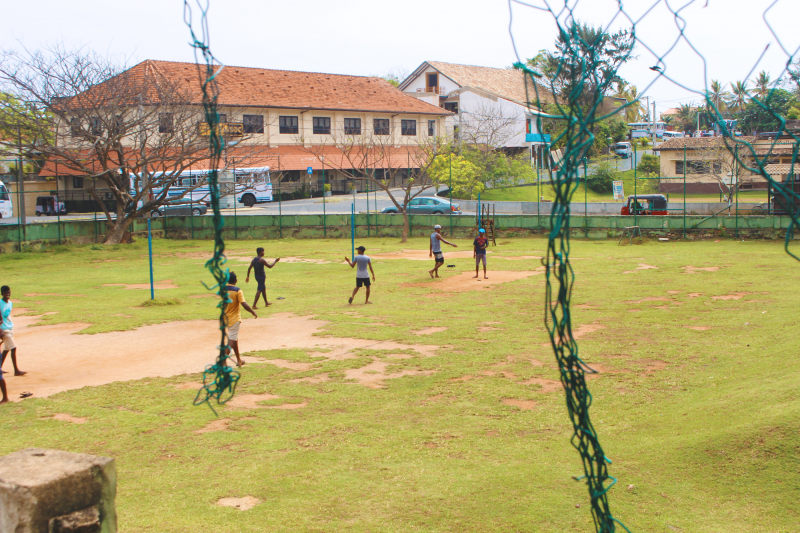 Sri Lankans are patient, kind and friendly people – be respectful and you’ll have an amazing time! 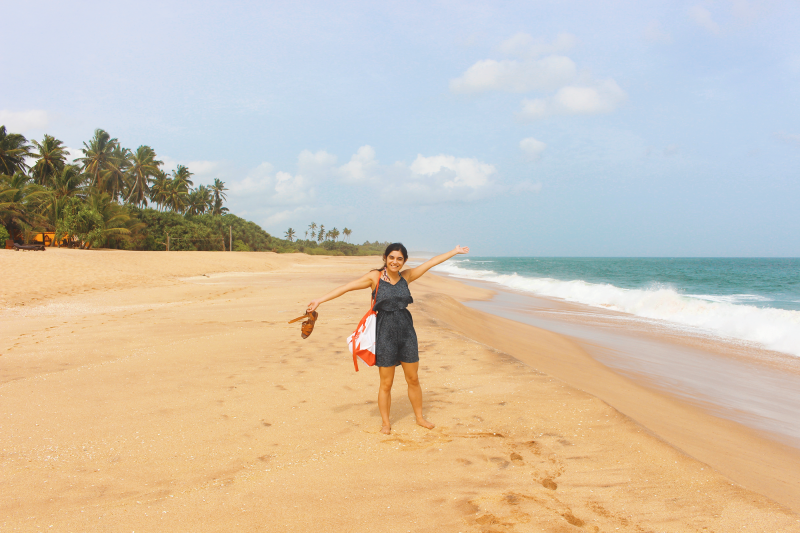 Day 4 – Tangalle *Highlight! 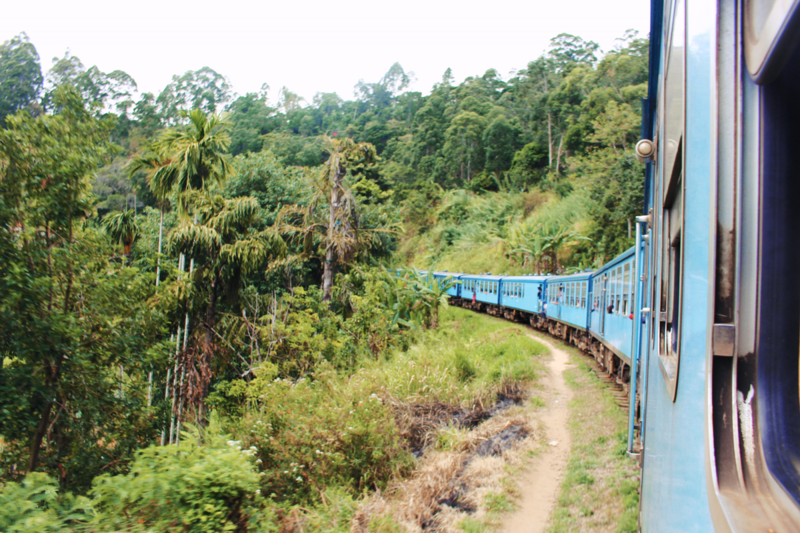 Day 7 – Ella to Kandy train *Highlight! 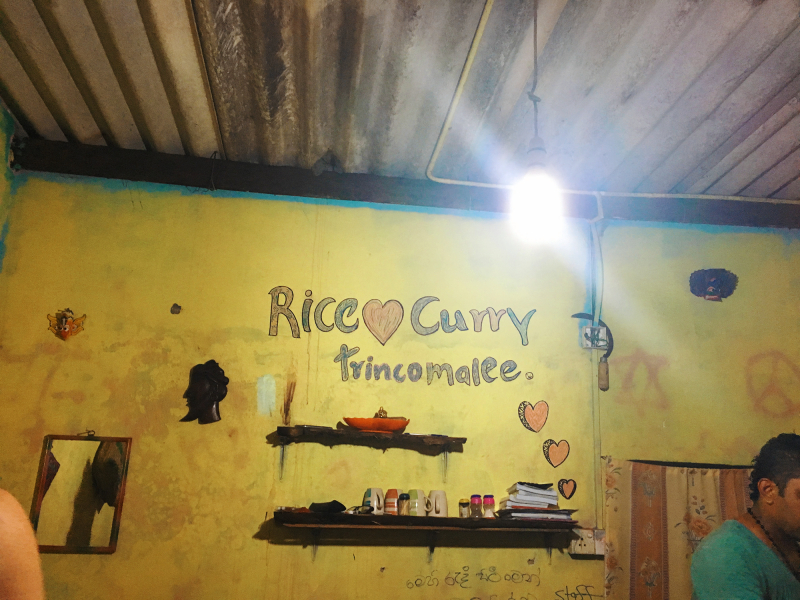 Day 11 – Trincomalee *Highlight! 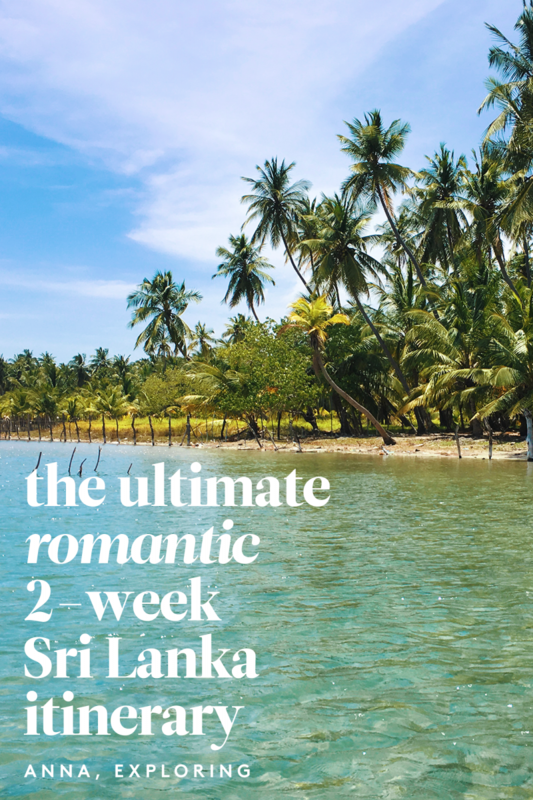 This may look fairly jam-packed but it was the perfect pace for us, as we wanted to see a fair bit of culture, bookended with our relaxing breaks in Trinco and Tangalle. If you want to do more ‘beaching’, I’d perhaps lose the Tangalle stay (though it was one of my favourites!) and add more time in Trinco, perhaps also even excluding Kandy altogether (gasp!). Arrive for your flight in the evening and settle in for the ride. We flew with Sri Lankan, who were fantastic, but it’s always worth checking Skyscanner to find the cheapest flights and operator. Most flights arrive into Colombo, the capital – you’re more likely to get a direct flight here, if you would prefer no stopovers. 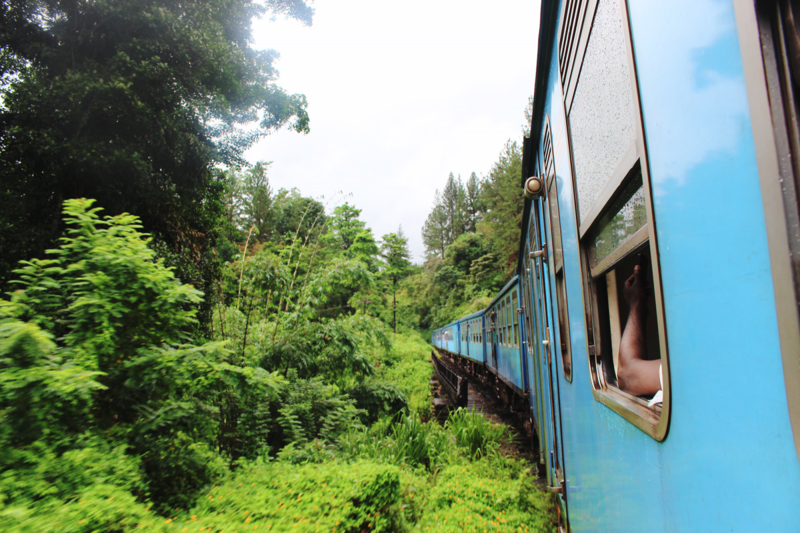 Day 2 – Travel to Galle! 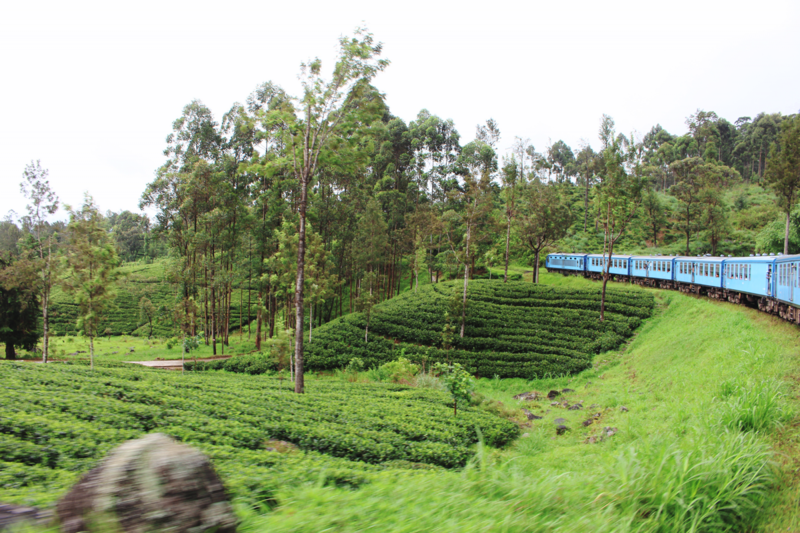 Get up early for your train ride to Galle. 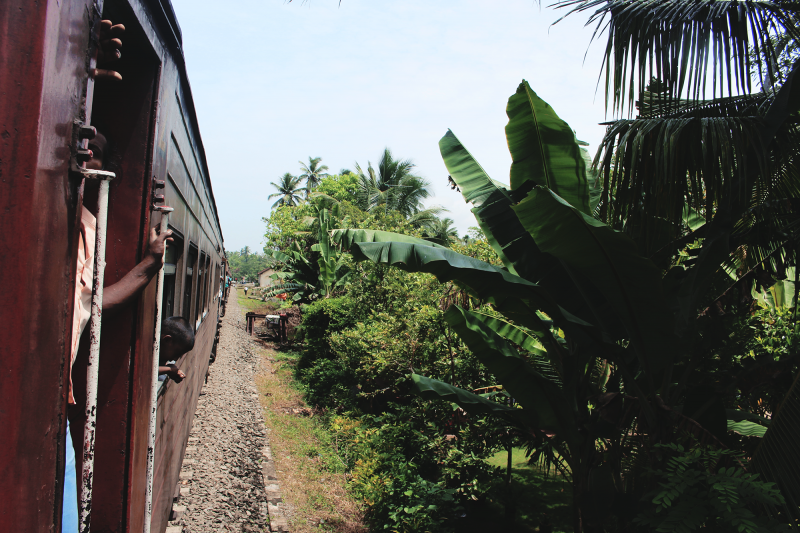 We left at about 8AM and arrived into Galle at about 10AM after a thrilling and beautiful train journey all but hanging out of the side of the train! 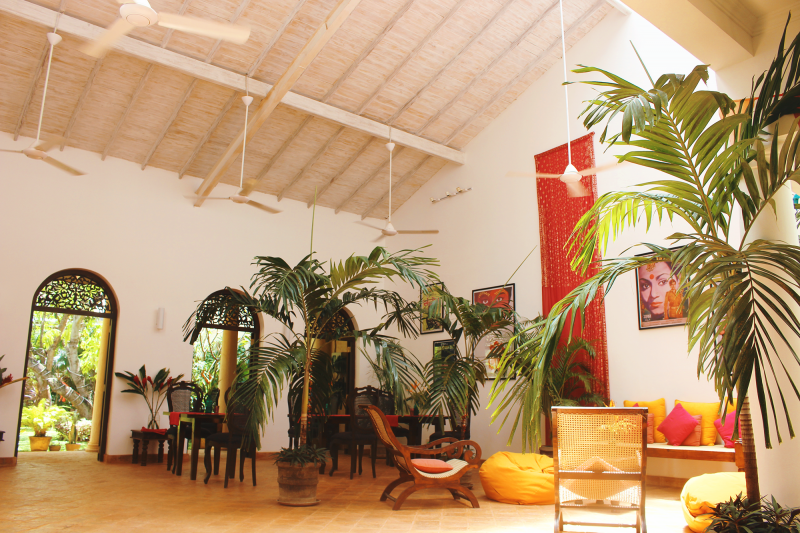 When you arrive into Galle, check in to your hotel – I recommend the Mango House. It’s right in the centre and is absolutely beautiful, super romantic and serves excellent food. 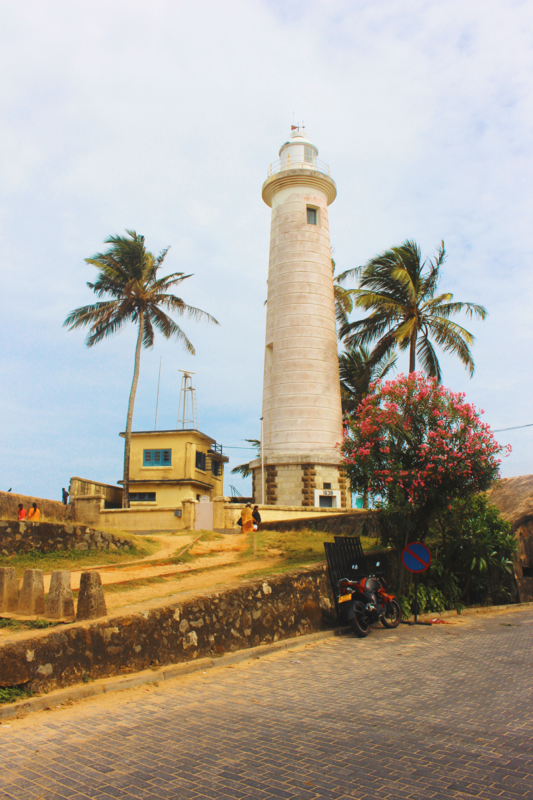 Spend the day following the Lonely Planet* walking tour of Galle. 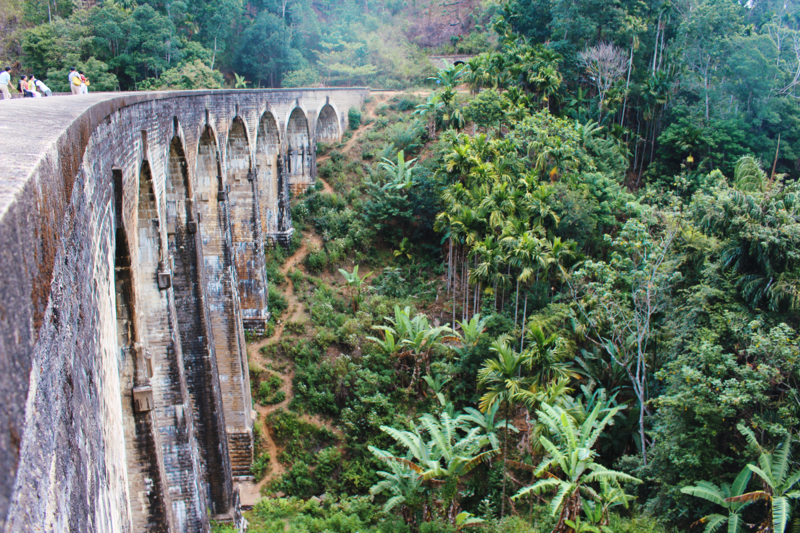 It’s a simple route that will take you through the town centre and to all the major historical highlights – not too taxing and a perfect intro to your first proper day in Sri Lanka. Stop for some food at Pedlar’s Inn cafe, pick up some lovely souvenirs, and grab stunning postcards at Stick No Bills. Treat yourself to a romantic dinner before returning to your gorgeous hotel. Before heading to bed, make sure to arrange a car or check the bus timetable to g you from Galle to Tangalle, tomorrow afternoon’s next destination. 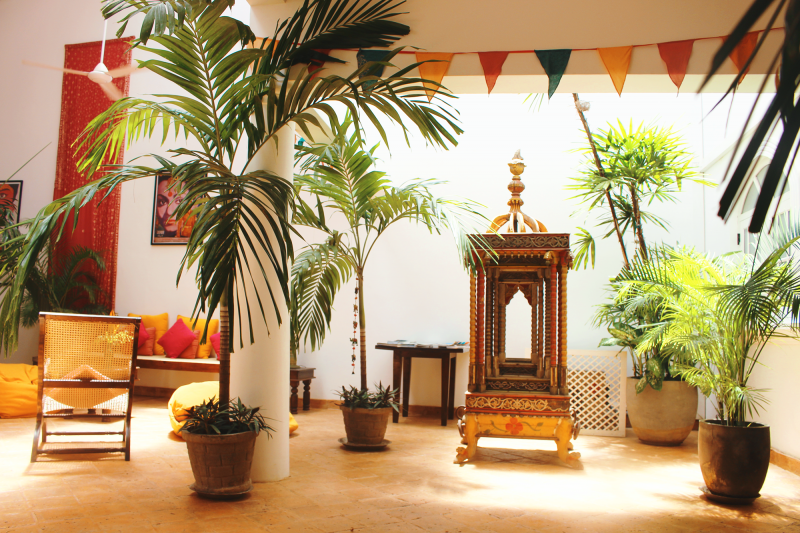 Check out of your hotel before enjoying a leisurely stroll around Galle, picking up those souvenirs you couldn’t stop thinking about overnight and checking out the last few places you wanted to go. 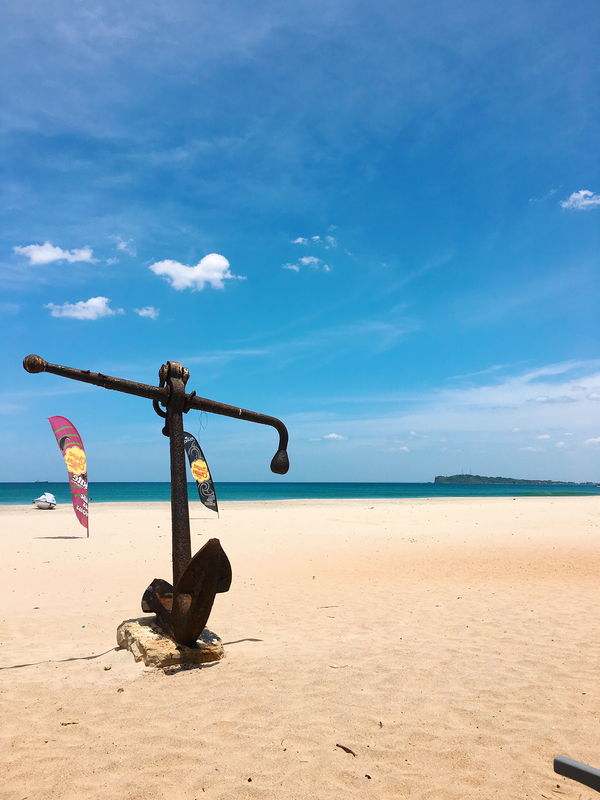 When you’ve had your fill of Galle, grab a bus and head on over to Tangalle, a stunning and (as of yet!) little-visited destination on the Southern coast of Sri Lanka. We stayed at Lonely Beach Resort, which was fine for us. It’s attached to a beautiful stretch of yellow-gold sand and is very quiet, if not a ‘luxe’ pick. We loved Mangrove Beach Cabanas – gorgeous looking, delicious food and fab cocktails, but it was sold out when we tried to book so check ahead! Spend the afternoon walking up the sands, trying to find another person (it’s harder than you think), relaxing in the sun and enjoying the stunning views. The water around Tangalle can be quite dangerous – the tides are often vicious. Check with your hotel before swimming to see if it’s safe. Another relaxing beach day! Book your driver for the next day and chill out. In the evening, arrange to visit the Rekawa Turtle Watch. 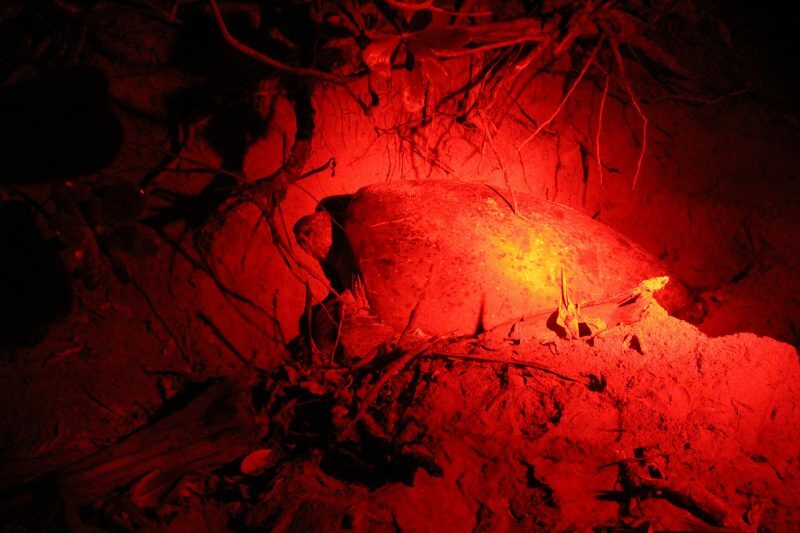 It’ll be a long evening, so bring snacks with you or eat beforehand, but it’s totally worth it to see turtles laying eggs in the wild. The conservatory keeps the interests of the turtles paramount – only 10 people can see a turtle at any one time, staying well back, and no flash photography is allowed as it scares and temporarily blinds the turtle. It’s a truly magical experience you won’t forget. The red light doesn’t distress the turtles. 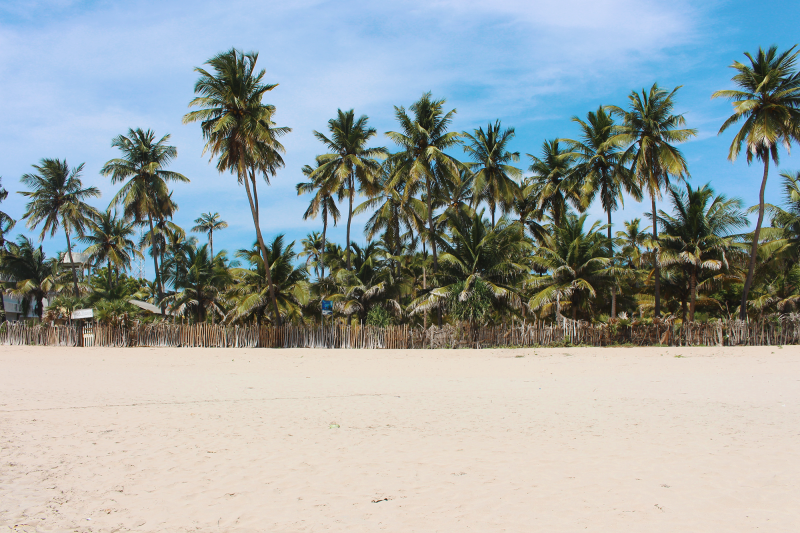 One last morning on the beach, soaking up the sun, before you’re on your way to Ella via Udawalawe National Park for a post-lunch safari! 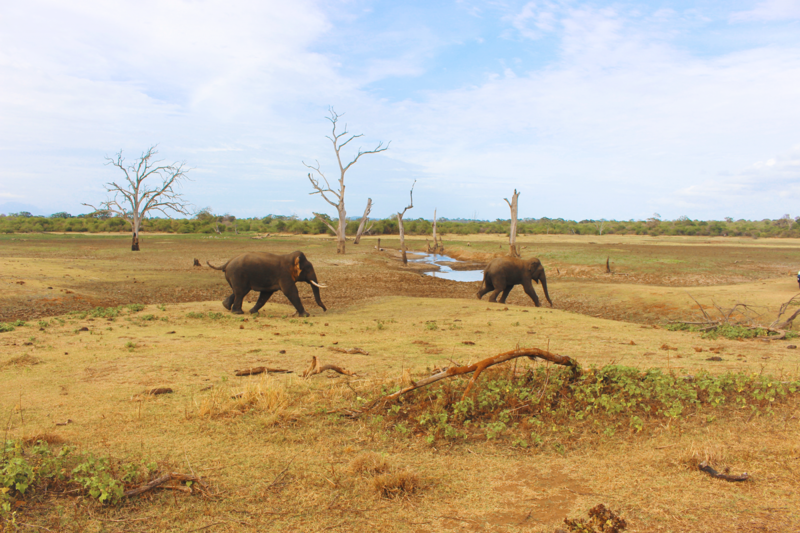 Udawalawe has a high concentration of elephants – you’re almost certainly going to see one, as well as leopards (though they’re a lot harder to spot). We were lucky enough to stumble upon an entire herd of elephants with teeny tiny newborns, and see a giant male with tusks charging another. It was an amazing trip and I highly, highly recommend it. 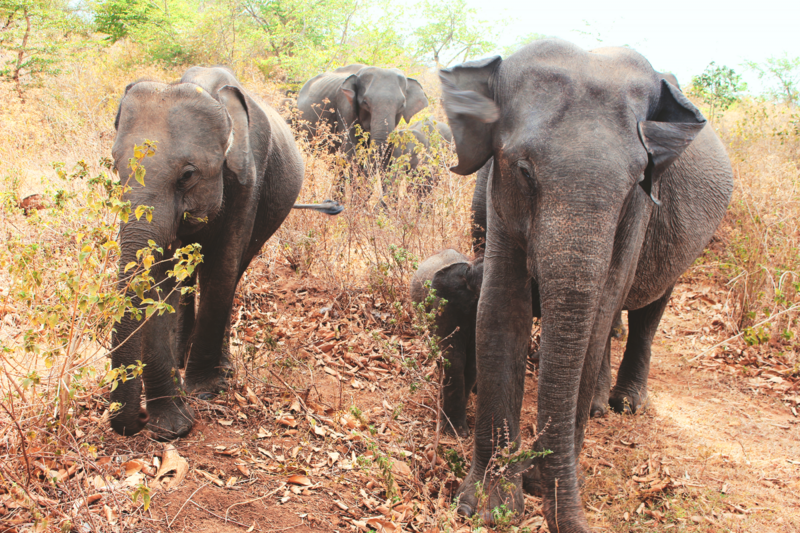 Such a beautiful family of elephants; we were really that close! This picture doesn’t do justice to how MASSIVE the bull on the left was. 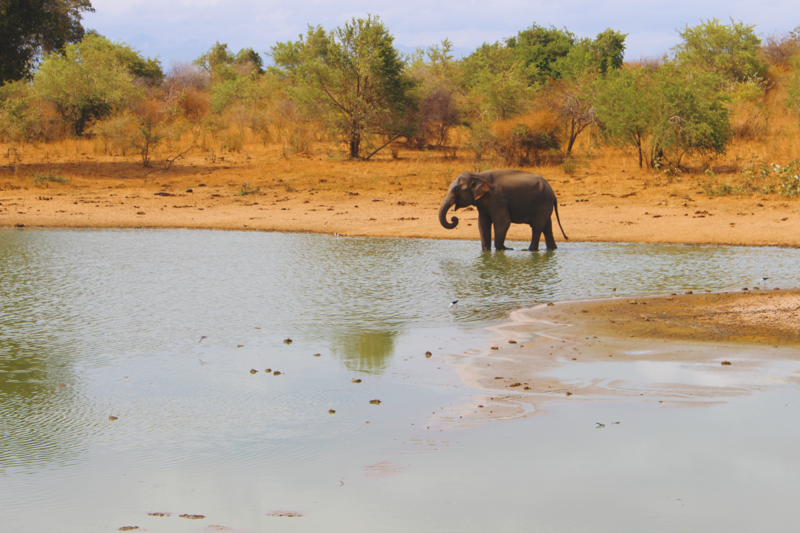 After your safari is over, hop back in the car and make your way to Ella. You’ll arrive late, so make sure your hotel knows you’ll probably want dinner with them. 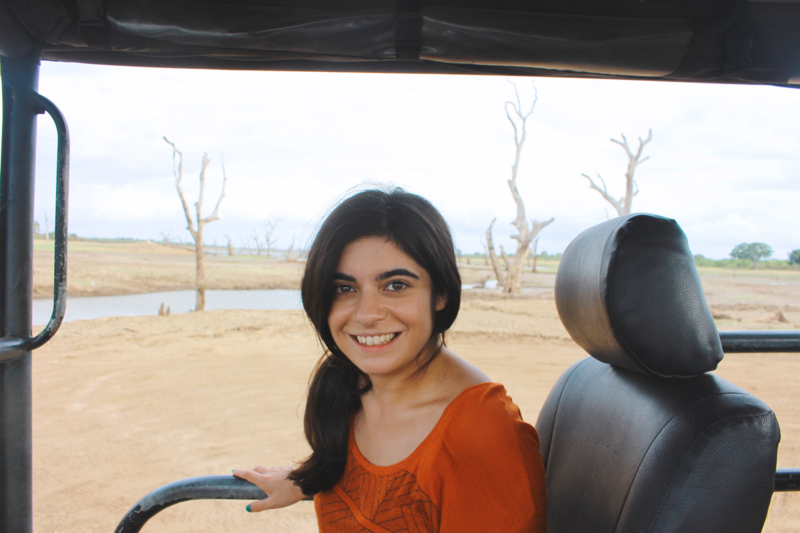 We stayed at Ella Nature View, which I can recommend, though you need a tuk tuk to and from town in order to get the gorgeous views! 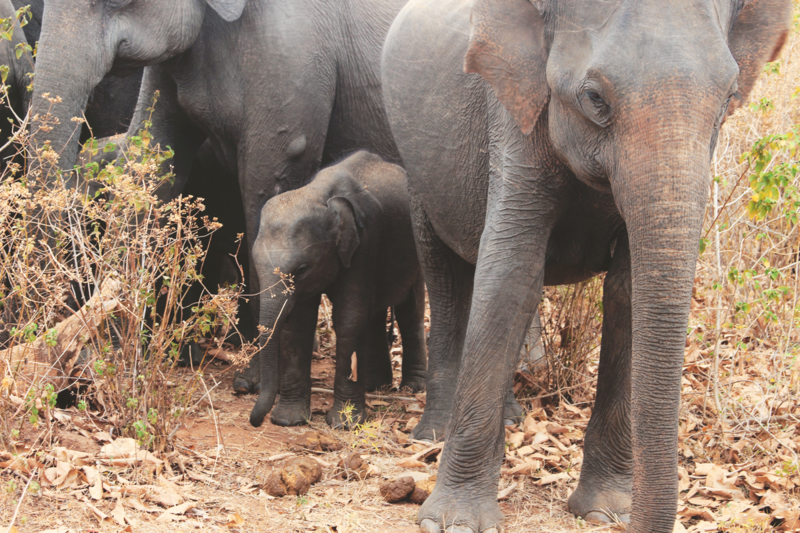 It’s time to explore one of the most-loved parts of Sri Lanka: Ella! 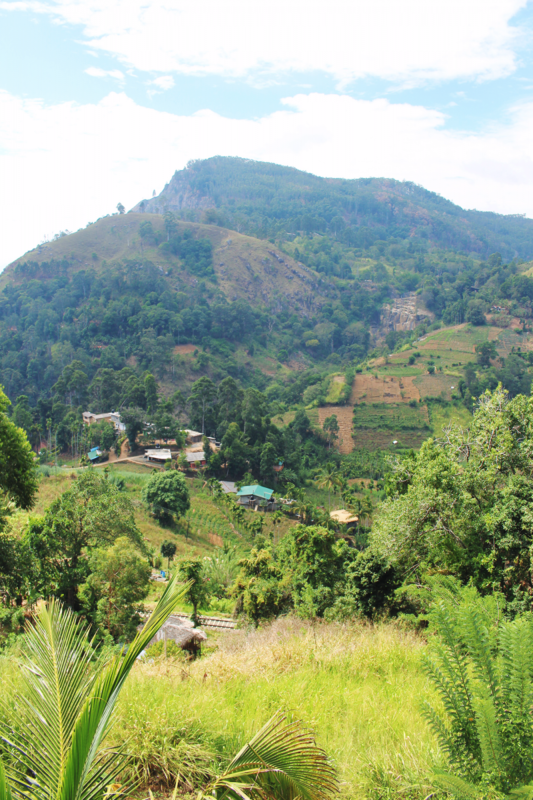 It’s a stunning little town, bordered by green and with lots of wonderful nature activities to do: hiking to Little Adam’s Peak (or Adam’s Peak if you’re up for the challenge! 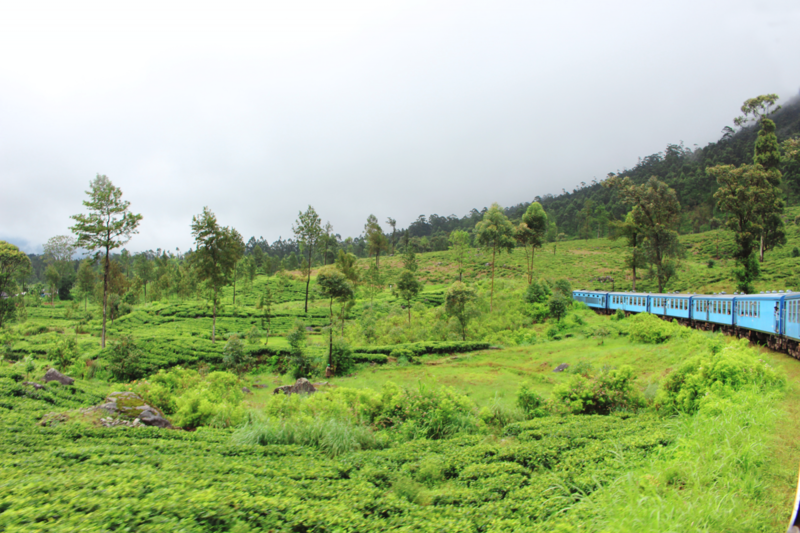 ), climbing the Ravana Falls (which feature in the Ramayana), visiting Nine Arch Bridge, or trialling tea on a Tea Factory Tour! We managed to do all of these in one jam-packed day. Nine Arch Bridge was worth the climb! 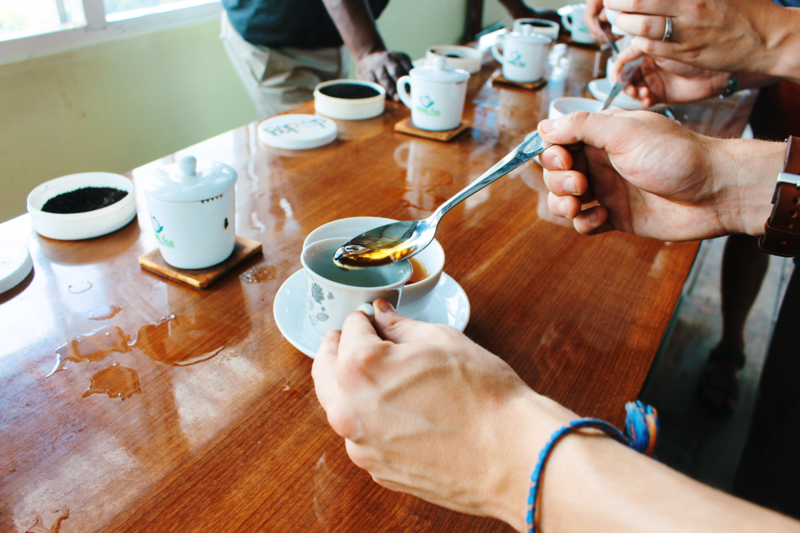 Tea Factory Tour and Tasting – what Ella is famous for! Listed as one of the most beautiful train journeys in the world, if you enjoy a view this will be one of the highlights of your trip. 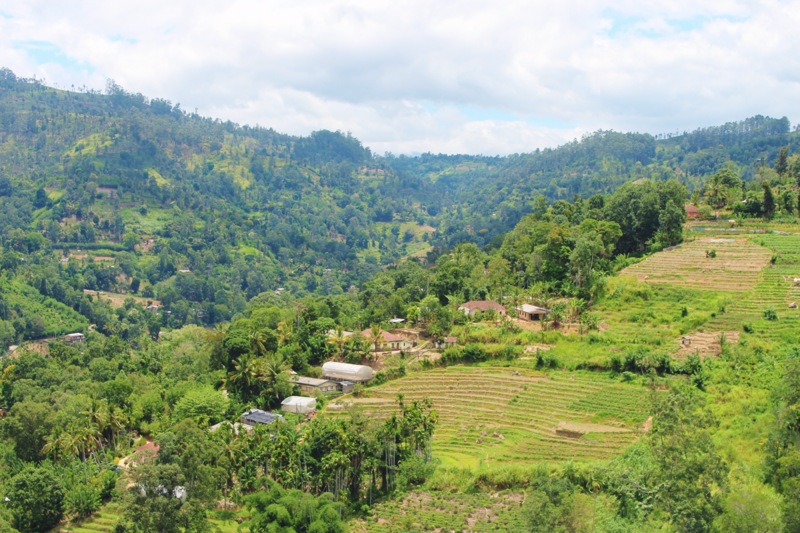 Lasting between five and eight hours, sit back and enjoy the stunning Sri Lankan countryside roll away past you – through cloud forests, tea plantations and tons of tiny and beautiful Sri Lankan towns and villages, this is a real window onto Sri Lankan life. 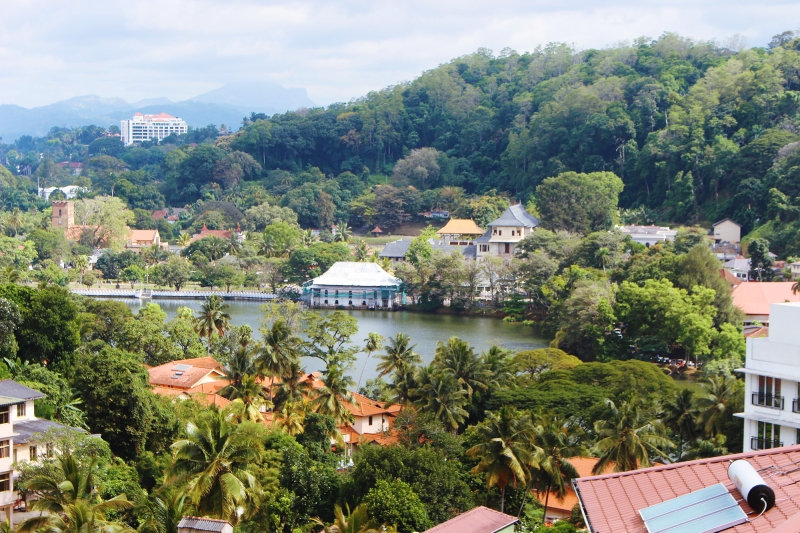 You’ll arrive at Kandy in the late afternoon – it’s worth visiting the Temple of the Tooth now, as it will be busiest during the main part of the day, and you’ll likely want a lie-in tomorrow morning! Once you’ve visited the tooth, find a place for dinner and further explore Kandy or turn in early. We stayed at McLeod Inn, which had gorgeous views over the city. 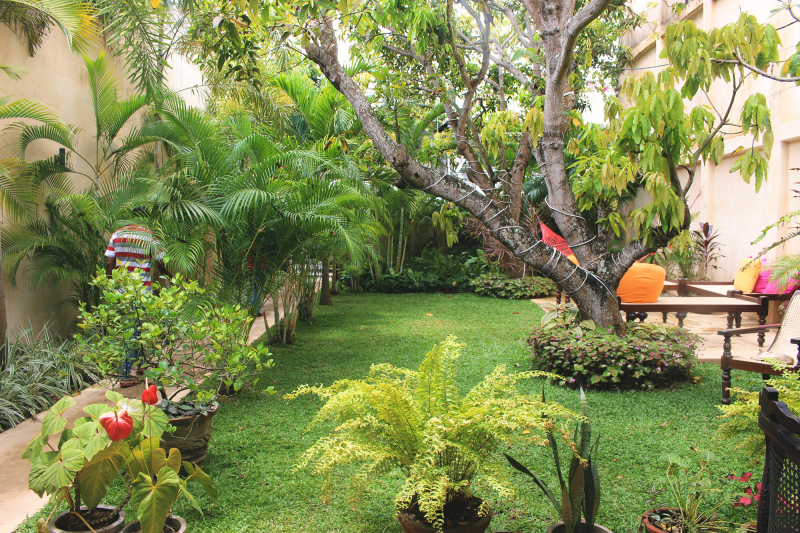 We stayed at Dignity Villa homestay – the owner is a chef, so you’ll be treated to absolutely incredible meals during your stay. It’s an early start on Day 9 as you’ll be up very early to catch the first bus to Sigiriya, the giant rock monument with amazing views over Sri Lanka. … And the steps are very, very steep. The more people on them, the more nervous you’ll be. It’s better to go when there are less people. It’s not a hard climb – I’m very unfit (haha!) and I was able to do it. The biggest issue is vertigo! 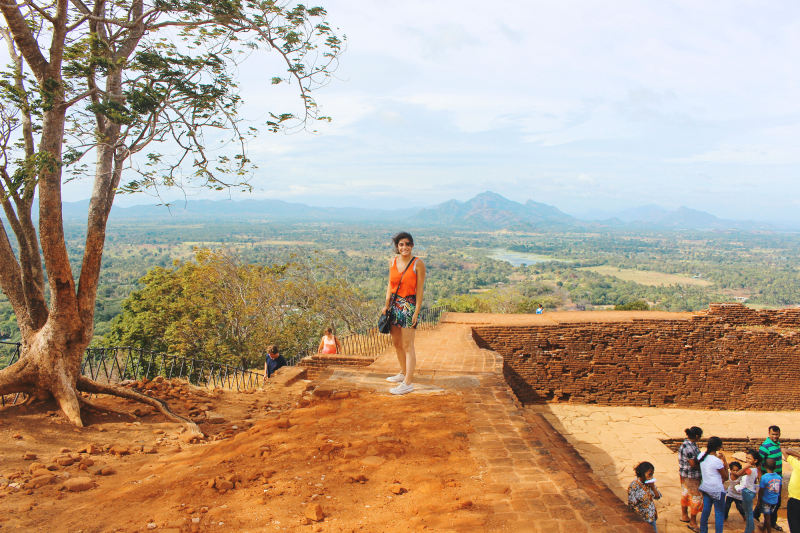 There’s another climb nearby, called Pidurangala, which gives you views OF Sigiriya, rather than on top of it. If you’ve got time, I’d do both. We wanted to get on to the Dambulla Rock Caves later that afternoon and were quite tuckered out so gave it a miss. After your day trip to Sigiriya, make your way back for the bus back to Dambulla to visit the Cave Temples. They’re very beautiful and likely to be packed, so be warned! NB: The monkeys here are very bold! 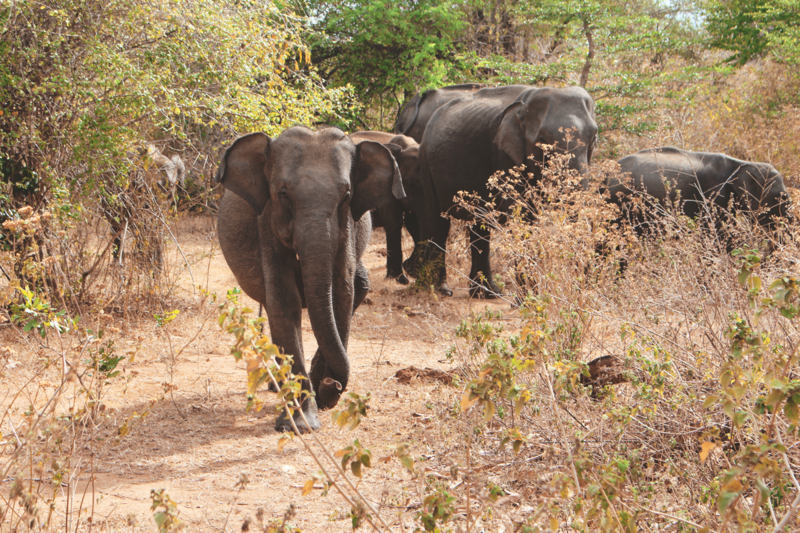 They nicked stuff out of my purse (including a wooden elephant I’d treated myself to as a reward for climbing Sigiriya, RIP) – so keep an eye on your stuff and don’t let them scratch or bite you. The next morning you’ll be on your way to Polonnuruwa, a series of beautiful ancient monuments and temples towards the north of Sri Lanka. 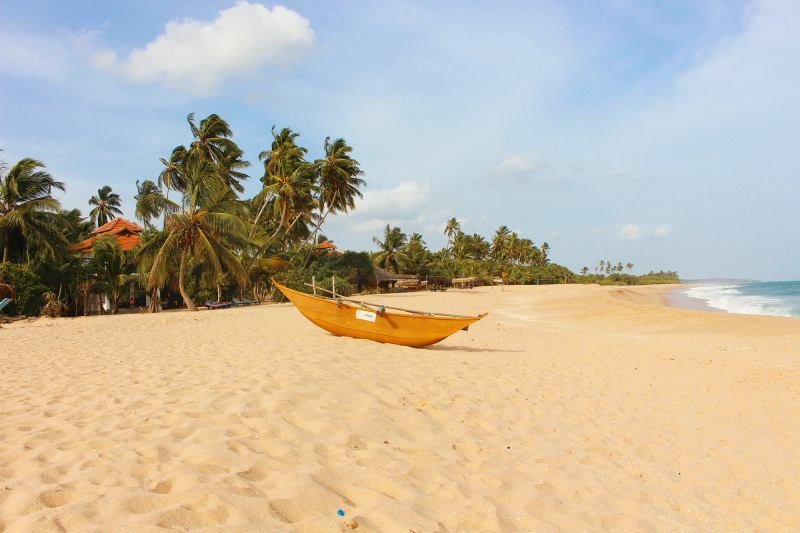 You will need to hire a car for the day, to take you to Polonnuruwa, wait, and then on to the beaches of Trincomalee. This is your final stop on the Golden Triangle. 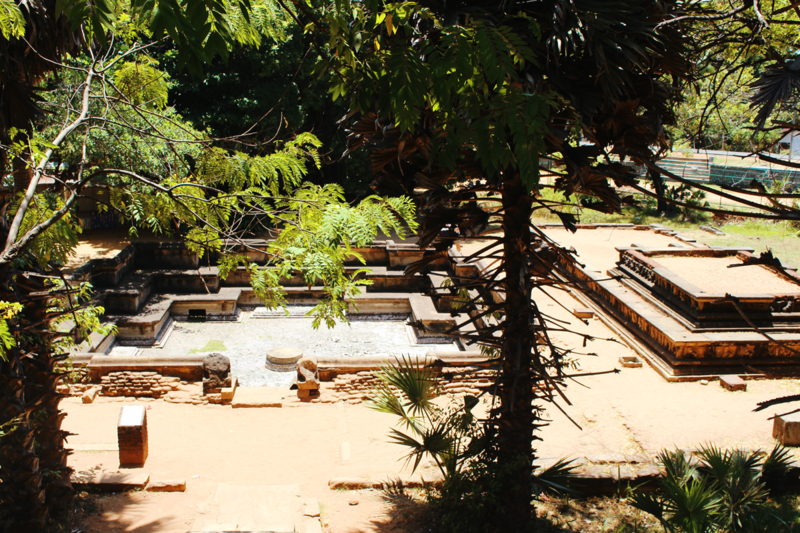 Polonnuruwa is a religious site, so you’ll have to take your shotes off – wear sandals! It will likely be baking hot, so bring socks and a hat and lots of SPF. Be respectful in what you wear and how you behave at the monuments. You can cycle from one monument to the other, but as you’ve hired the car for the day, take advantage of the aircon to get a respite from the heat and travel by car from site to site. 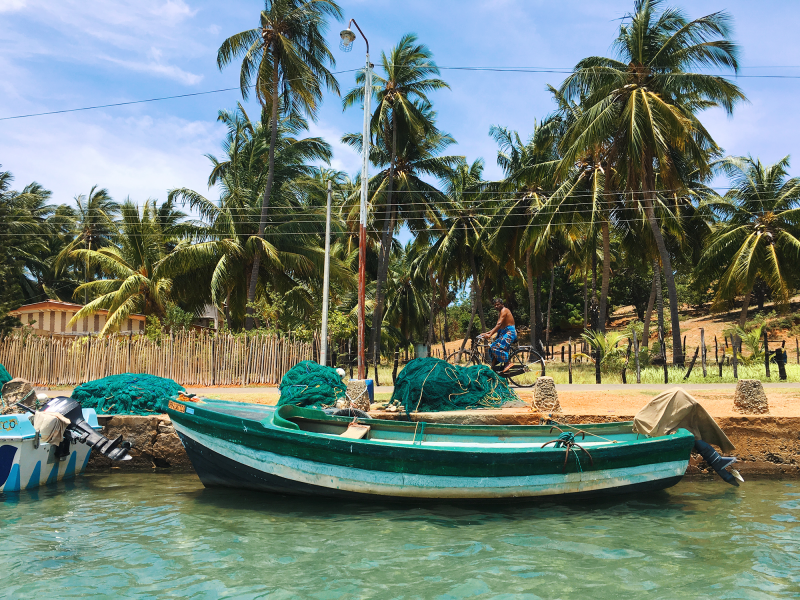 Once you’ve had your fill of the beautiful structures, travel onwards to Trincomalee. 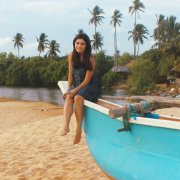 Trincomalee was one of my favourite places in all of Sri Lanka. 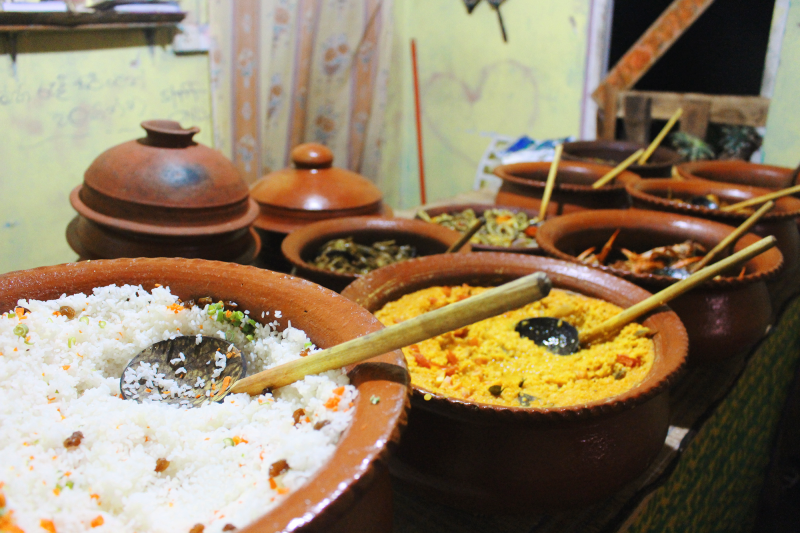 The North of Sri Lanka is largely Hindu, so the food and sights will be slightly different. 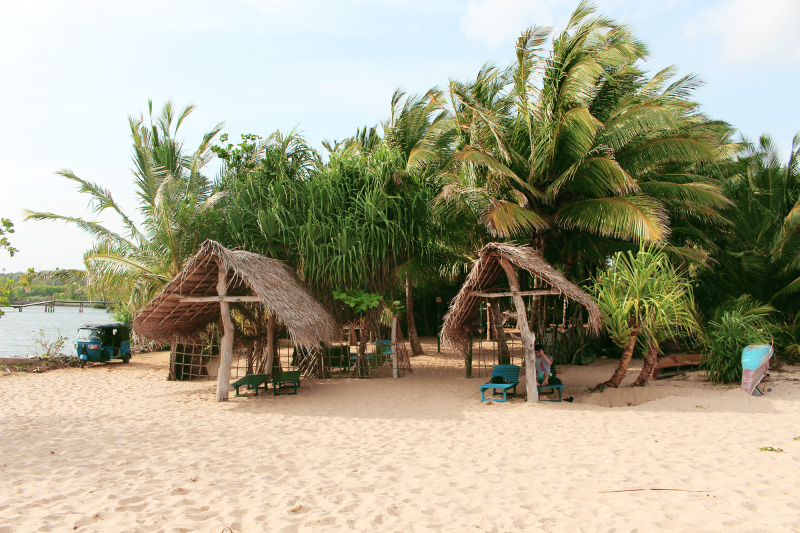 We stayed at Amaranthe Bay resort which overlooked the Trincomalee lagoon and had a very short walk down to the beach. It was a splurge (though they’d just opened, so we had a discount to make up for a few teething problems) but well worth it! 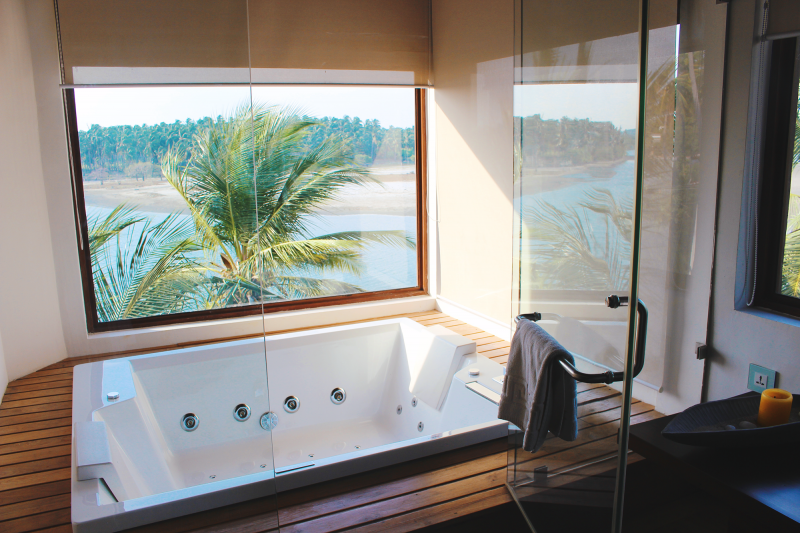 Our suite had an IN ROOM jacuzzi with views of the lagoon – bliss. Relax at Amaranthe’s gorgeous pool, nip on down to the beach to pure white sand – the choice is yours, it’s time to chill out and enjoy the gorgeous Sri Lankan sand. 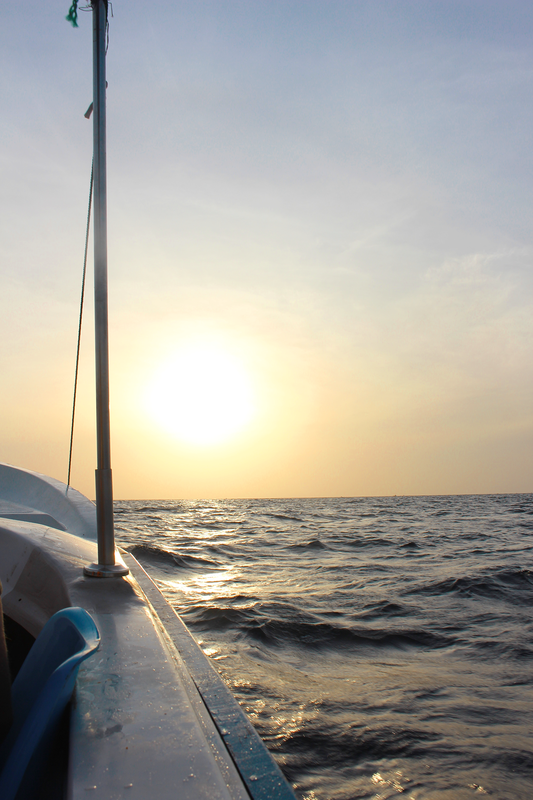 Any hotel in Trinco can organise a blue whale watching tour for you – you’ll only need to be up early for the privilege. Sadly, we didn’t see any blue whales on our trip – but perhaps even more sadly apparently we were the only boat that week that didn’t! 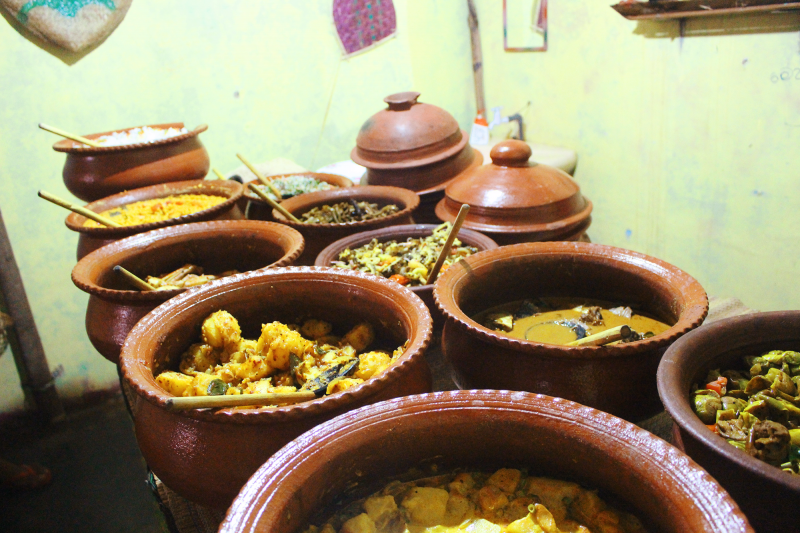 Spend the rest of the day relaxing by the crystal clear water and enjoying northern Sri Lankan curry at Rice n Curry – hands down the tastiest food of our whole trip! Pigeon Island is what hooked me on snorkelling, which is what hooked me onto scuba diving and now I’m in the process of getting my BSAC Sports Diver certificate (like PADI AOW + Rescue Diver combined). 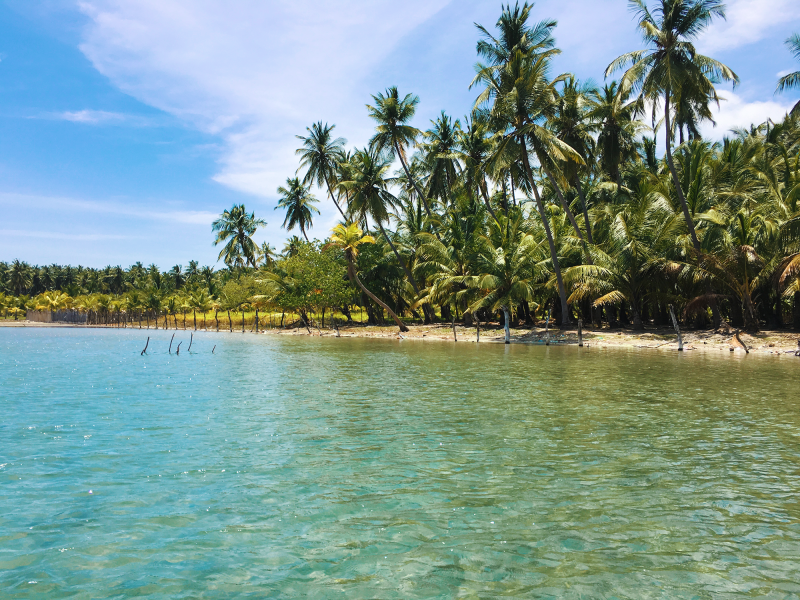 It’s a stunning tiny island that you reach via a GORGEOUS boat ride, and you step out into crystal clear water surrounded by beautiful tropical fish. Absolutely magical. Again, your hotel can arrange a trip here for you. Spend the rest of your day chilling out and enjoying the sun! There are various ways to get back to Colombo, but the most time-efficient is to take a flight. We had to take a Helitours flight when we were there, as there weren’t any internal ones operating and you couldn’t fly on the weekend, but it appears now that Cinnamon Air also offer flights on any day of the week, so I’d recommend choosing one of these two operators. There is a train and I believe a bus but you’ll be worn out, and for the £50-100 for the flight, it’s worth it (in my opinion!). This way you’ve got a half-day in Colombo as well as a full day tomorrow. 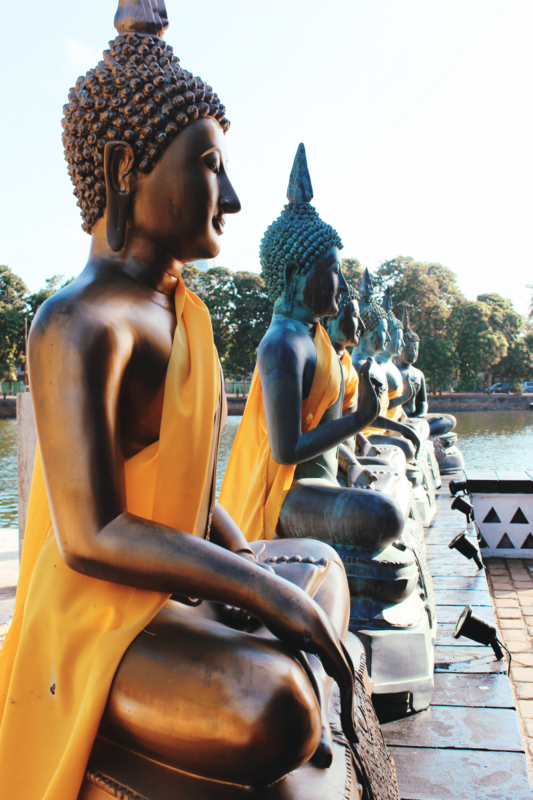 Arriving back in Colombo, take some time to explore. We stayed at both ends of our trip at Drift BNB – a gorgeous little BNB with delicious breakfast and super helpful staff, but a bit pricey and perhaps out of town so I’d cater to your own tastes here. 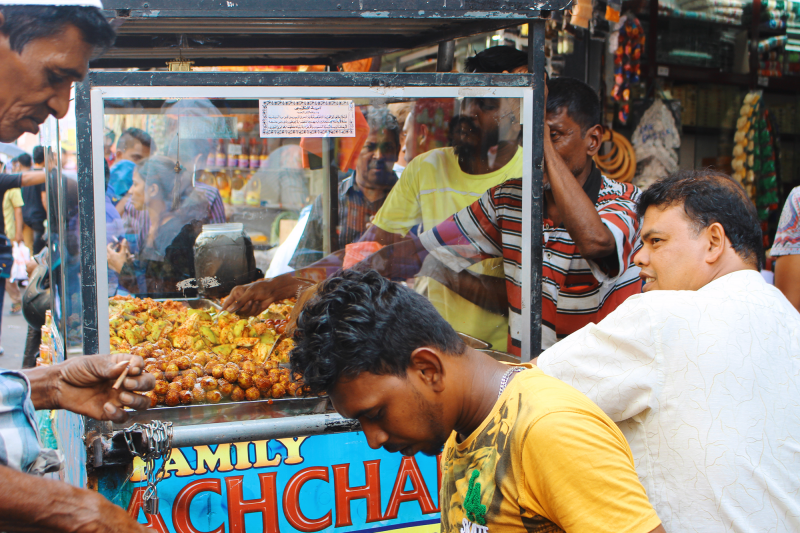 As Colombo is the capital there’s no shortage of things to do here. I’d recommend a dinner or drinks at the Galle Face Hotel for a romantic end to your trip. On your last day, you can really explore the capital. I’d highly recommend a trip to the Pettah, the central market, to get a feel for life in Sri Lanka and pick up some lovely bargains. A must-visit is Barefoot – a stunning fairtrade shop with everything you could ever imagine in beautiful colours and prints, from toys to frames to fabric by the metre to beautiful clothes. On Sundays, there’s live jazz in the cafe which is worth a pit-stop at. There’s an outlet in Galle but the Colombo HQ is the best in my opinion. 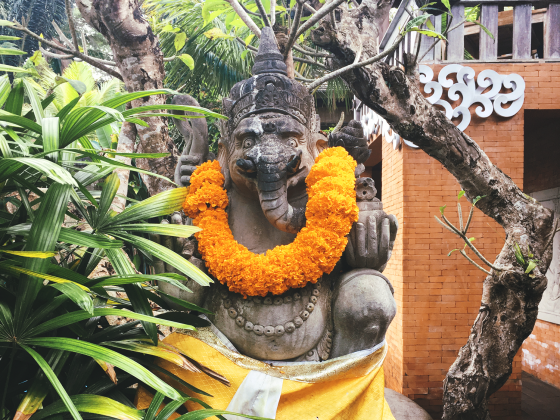 There are countless beautiful temples, monuments and museums to visit, along with tons of rooftop bars and gorgeous tea shops and restaurants. Pick and choose your pace – we went quite slow, ambling about the Pettah, visiting some temples and attempting to visit Geoffrey Bawa House (but it was closed by the time we reached it at our leisurely pace!). Sadly pack your bags and head to the airport! Anuradhapura: The ‘other’ incredible ancient monument, people can be a bit ‘monumented out’ by the end of their trip and will pick either Polonnuruwa or Anuradhapura. 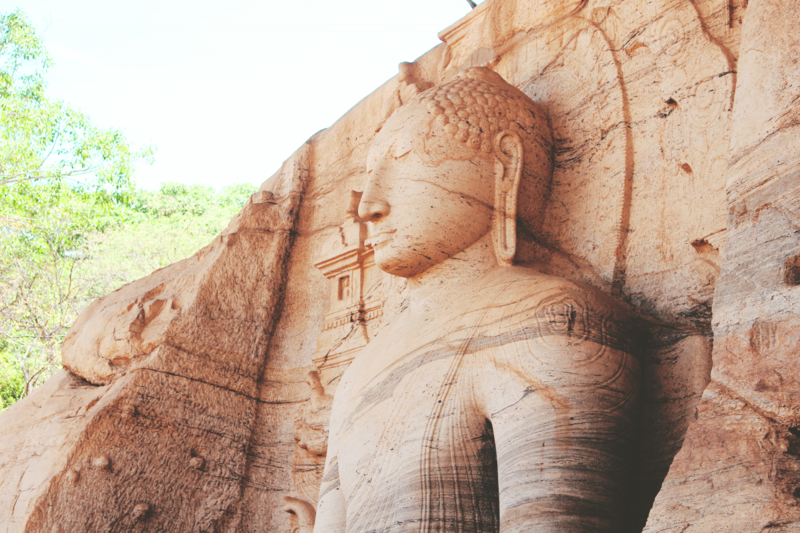 They’re both incredibly interesting and rewarding; I’d imagine you’d want to add one or one and a half extra days to visit Anuradhapura to account for the travel time. Arugam Bay: Super chilled out, Arugam Bay is Sri Lanka’s surf hotspot. 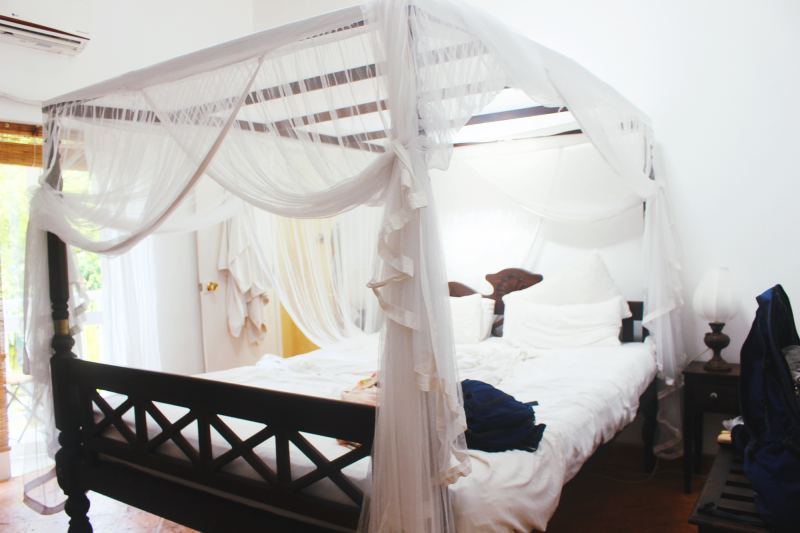 It’s got a real beach-bum-backpacker vibe, and is the perfect place to decompress. Jaffna: Jaffna is one of Sri Lanka’s most northernmost cities, way up past Trincomalee. Not only is the city supposed to be a riot of colour, but it’s also dotted with tiny peninsular islands that are meant to be beautiful. We visited in August/September, which is the shoulder season, to take advantage of the bank holidays here in the UK and the slightly lower prices. 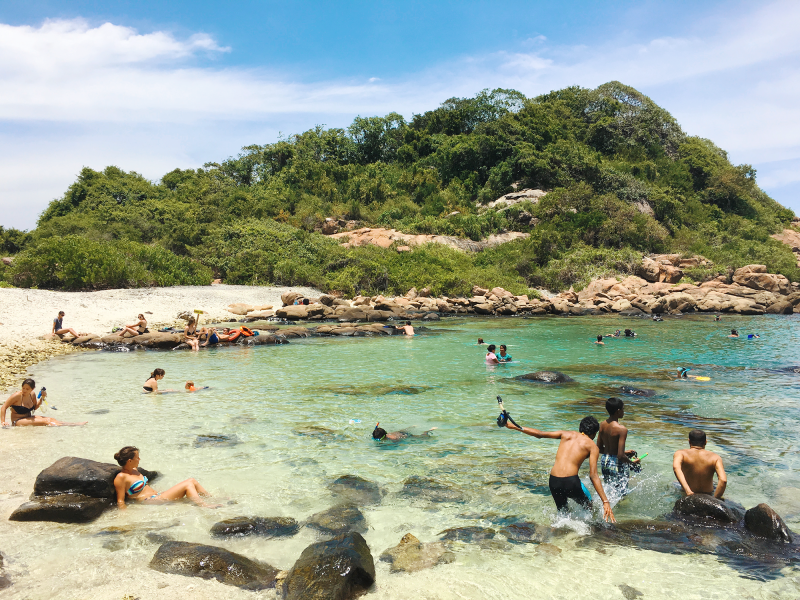 The high season for Sri Lanka is December to March/April, which means you’re safer in terms of weather, but the prices (and number of tourists) go up. Low season is over the summer, as that’s the monsoon, and then again for September – November for another set of rains. We were lucky; the majority of our holiday fell at the end of August – we had a few days in September. We had two afternoons of rain the whole trip; and it didn’t really spoil anything for us. I mainly wore t-shirts and knee-length skirts; in a few places I felt comfortable enough to wear shorts and/or vests but I was with a bloke so YMMV. 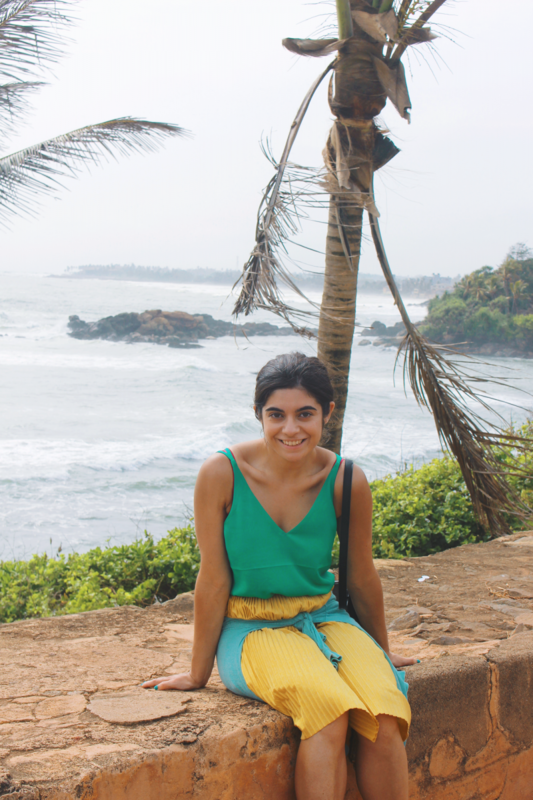 Make sure you bring cotton and/or cool fabrics like linen as Sri Lanka is hot. I wore a mix of sandals and trainers but I think I probably would have been OK with just the sandals – you’ll have to take your shoes off at religious sites and monuments (other than Sigiriya) and sticking to just slip-on sandals would have been much more efficient. Sun-tan lotion, mosquito repellant and probably some kind of hat are also a must. Sri Lanka is predominantly Buddhist, and also has significant Hindu and Muslim populations, and thus is a conservative and religious country – be respectful at all times. The people are incredibly friendly, and will do their utmost to help you out if you seem lost, confused or stuck. One guy threw my suitcase onto a bus that was moving through traffic to make sure it stopped for us! Public transport is super easy to use and very affordable – though seated compartments for trains can book up quickly – especially on the scenic routes. Two lads in front of us in the queue to buy Ella –> Kandy train tickets were trying to book the day before, and the clerk almost laughed as they’d sold out ages ago. We bought about five days in advance and only just got the last two tickets for second class. Second class train tickets are almost always the better bet – first class you can’t open the windows and they’re tinted, so you’re able to see less of the beautiful views. Second class you can open the windows and move about a bit more freely, and the seats are just as comfy. That’s my guide to Sri Lanka. 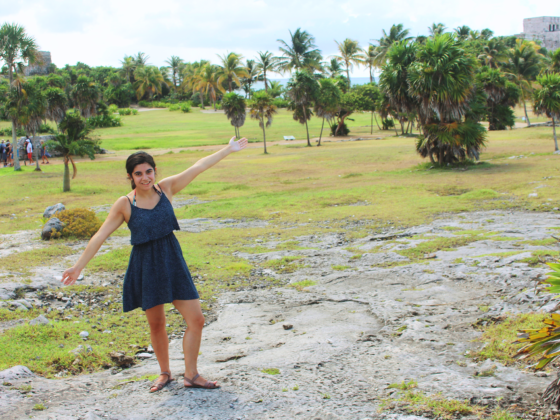 It’s honestly one of my favourite places on Earth and I hope I’ve inspired you to visit! Links marked with a * are affiliate links. This post is not sponsored; if you purchase something through an affiliate link I make a very small commission on the purchase which helps with the running costs of this blog! All opinions are my own.